coyuchi, Our organic cotton, is native to the coast of Oaxaca. 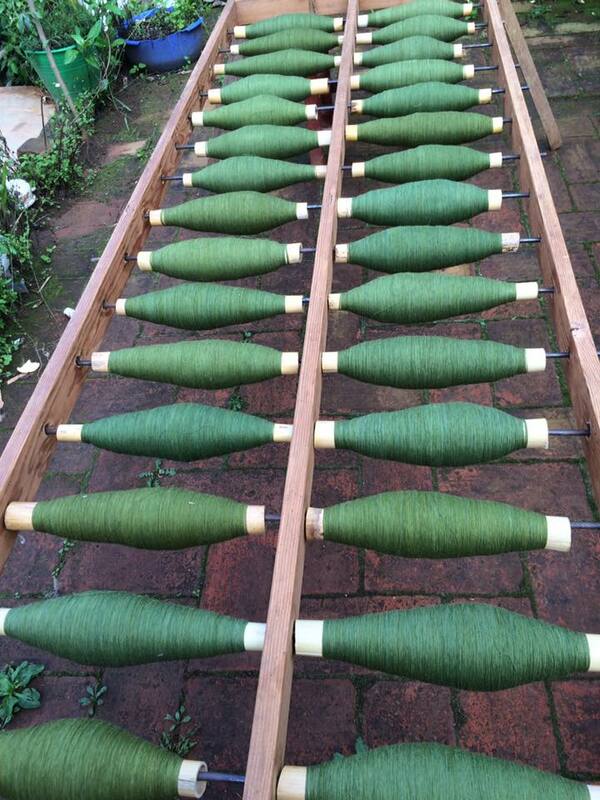 We use only natural ingredients from the region for our dyes. We receive organic cotton from Katyi Ya’a, a collective made-up of 18 women who spin and weave locally grown, native, organic, naturally colored brown and white cotton. Cotton and textile production is a centuries old tradition in San Juan Colorado, an indigenous Mixteco village on the coast of Oaxaca. 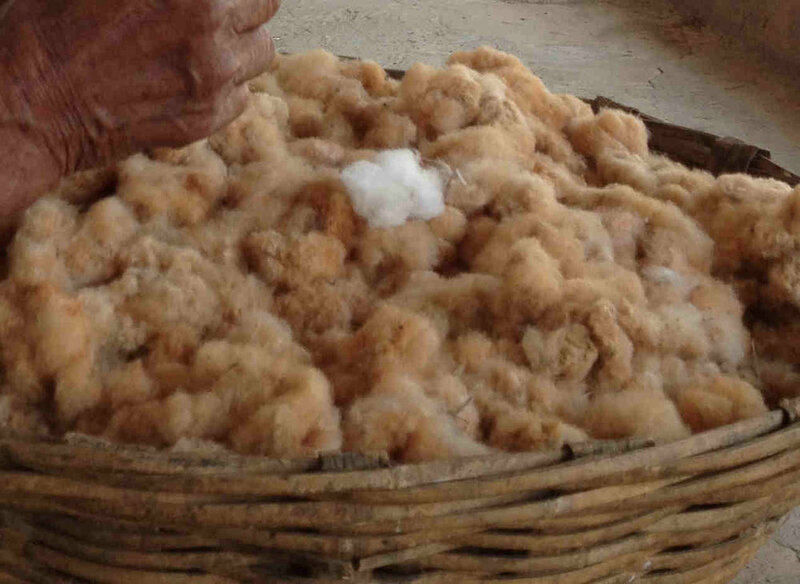 The brown and white cotton we work with is native to the coast of Oaxaca and Guerrero. The coast of Oaxaca and Guerrero, la Costa Chica, is one of the few sites in the world where naturally colored cotton originates. 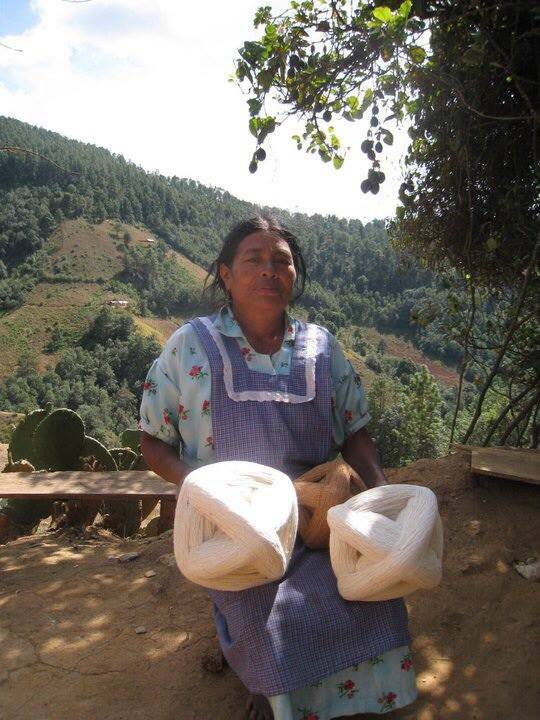 The CDS (Consejo de Desarrollo Sustentable San Juan Colorado A.C.), works with regional farmers to save these semi-rare seeds and produce cotton for several manufacturers of natural cotton goods in Oaxaca. The cotton is produced strictly on small plots, without pesticides and is frequently intercropped with corn. 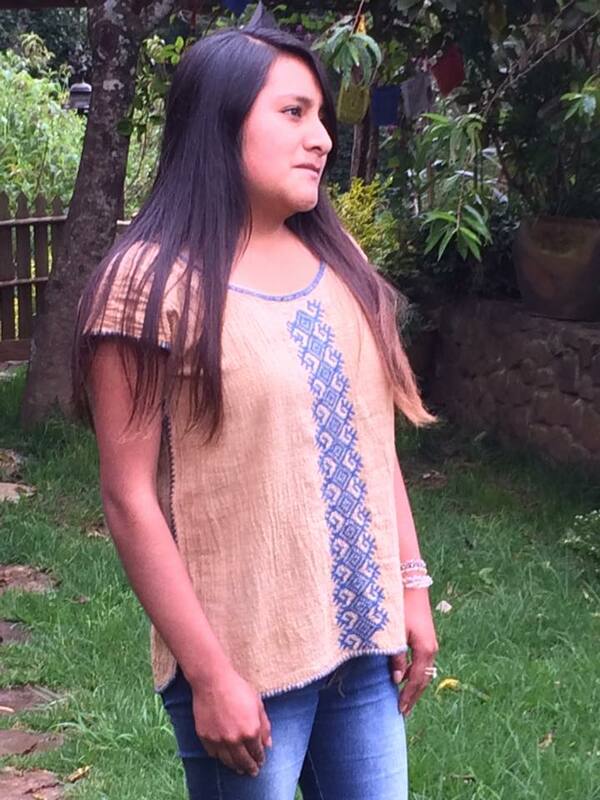 In Khadi Oaxaca we want our clothes to be chemical free, and that includes both the dyes and the cotton. Natural ingredients are gathered from the area to create a diverse color palette and then steeped for various amounts of time to produce a range of hues. A few of our components include the wild marigold used to dye the fabrics in yellow. This plant is harvested in summer and is used fresh. Indigo from the Istmo region creates blue threads. A brown color is derived from oak bark collected in the woods in the Sierra Sur, and cochineal is used to obtain the pink color. Workshops were set up to teach any wanting to learn, and now as of 2016, at least 300 women from villages and ranches de-seed the cotton brought from the coast, card it and spin it all by hand in their homes. Once the fabric is ready, our head designer, Kalindi,plans out the different clothes and embroideries to be done.